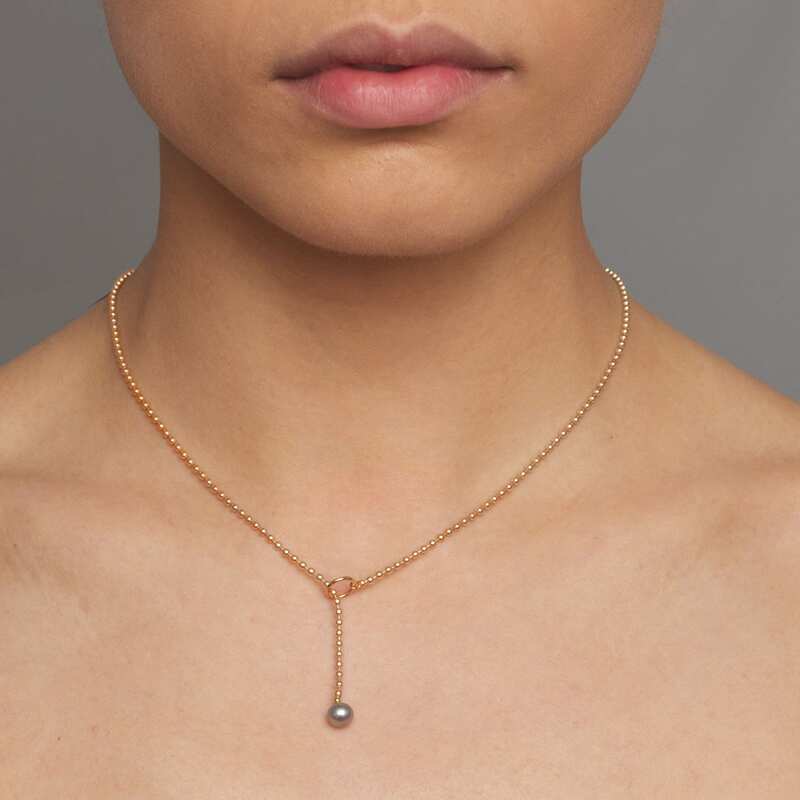 Lariate style necklace with bubble design in 14k red gold, terminating in a beautiful grey Akoya pearl. 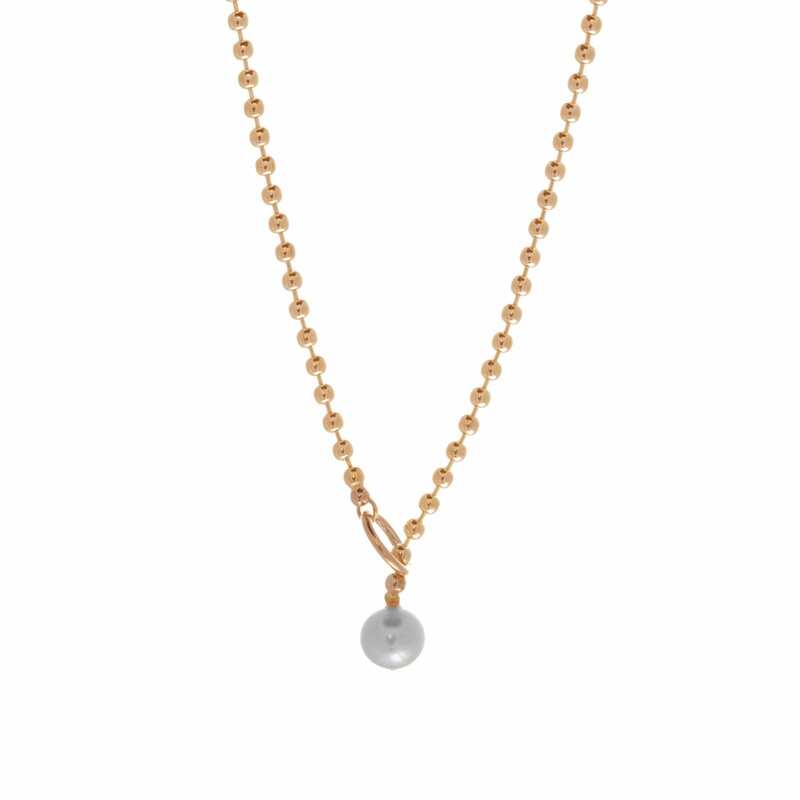 We thought you would like to know has been eyeing up our 14k Red Gold Grey Akoya Pearl Bubble Lariat for some time now and has requested we bring it your attention. 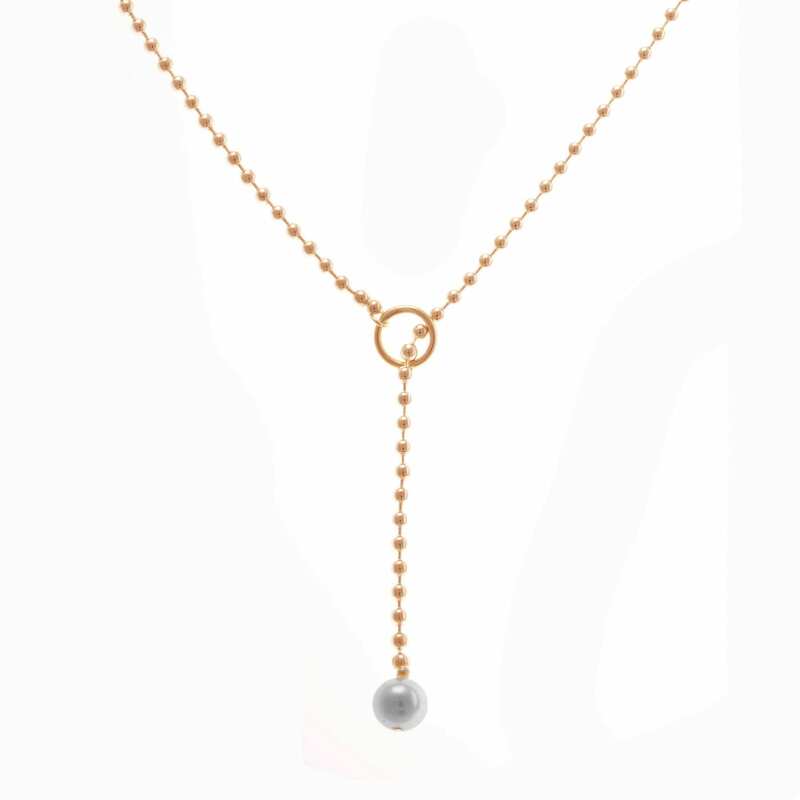 What's your question about 14k Red Gold Grey Akoya Pearl Bubble Lariat? This stunning and delicate necklace is made in 14k rose gold with a beautiful grey Akoya pearl at the centre of the chain. The necklace feeds through a hoop at the front allowing you to wear it at different lengths. 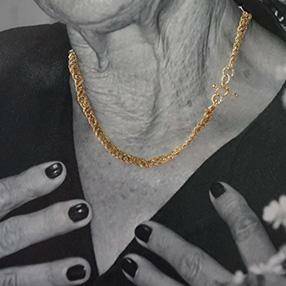 This is a versatile necklace you will wear time and time again. Chain Length: 18inches. 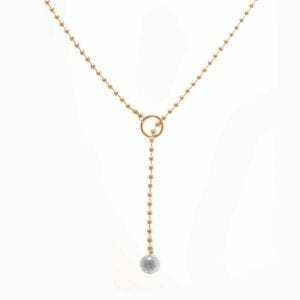 Chain Width: 2mm. Closure: Bolt. Note: Available in different metals, pearls.